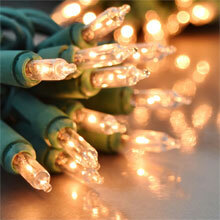 Garland String Lights - White Lights - Green Wire - 18 ft. 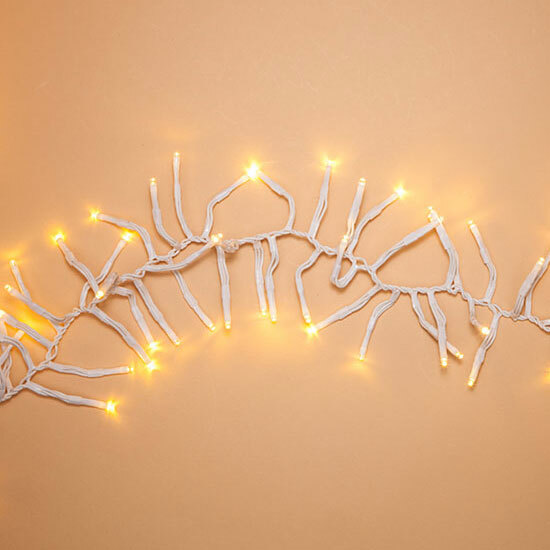 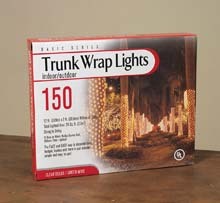 The LED Garland Light Strand comes with 180 warm white lights on a 19 ft. white wire(10ft. 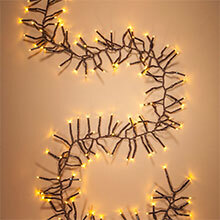 lighted length). 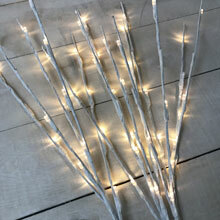 The white wire LED garland string lights create a beautiful warm white light to decorate any space outdoors. 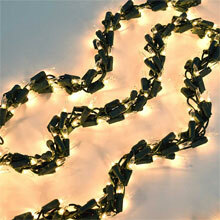 The garland light strand is great on stairway railings or scalloped along gutters, fences, or decks.